Now that I don't have many subjects to photograph during the polar vortex, I am working on old images from past summers. Canon DPP4, PSCC, Nik detail extractor and tonal contrast. 25% of image cropped. Great timing on this, beautiful lotus. The bee stands out nicely from the pale yellow petal. I like the pollen on the legs and the bee’s shadow. I really like this- so beautifully composed to see the bee inside the flower and the sharp center. Love the shadow and pollen too. Top notch in my book! Fine macro scene, nice capture of the bee in flight. The light is lovely in this - appealingly sunny, but the shadows are subdued. 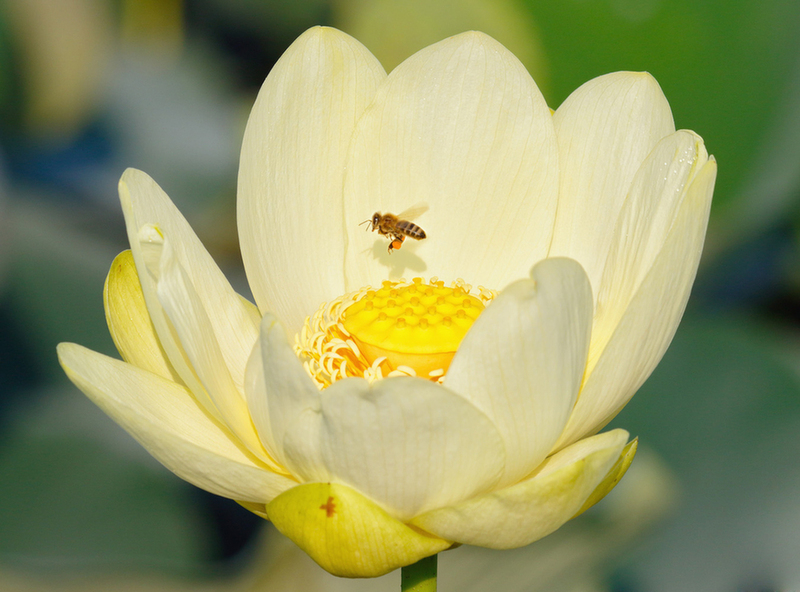 The little bee complements the lotus beautifully! What a lovely image.